MotorDog69’s Set Screw Waterfall Harley Horn Cover Coin Mount set with Don't Tread On Me coin. · Fits all 2018 to new bikes stock Harley Waterfall Horn Covers. · Bundle Includes; Set Screw Chrome Harley Waterfall Horn Cover Coin Mount, Challenge Coin Shown, Set Screws, Allen Wrench, and Easy to Follow Instructions. Personalize Your Ride Today! 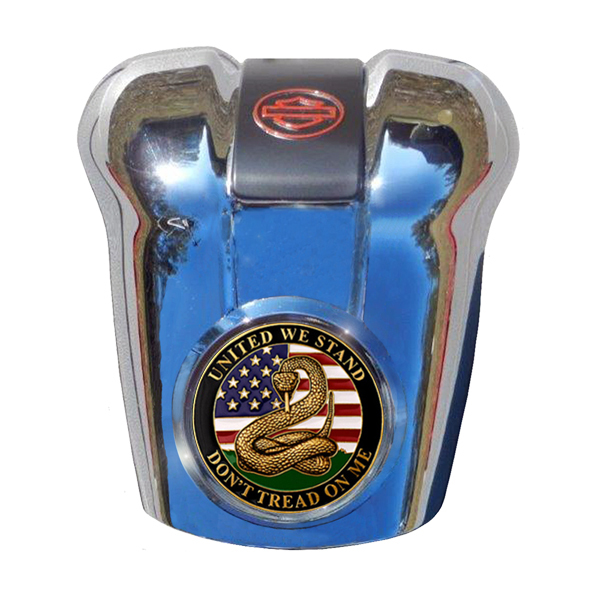 · Kit Benefits; Easily mount and remove challenge coins to personalize your own stock Harley Waterfall Horn Cover.